Headed to the usual last night armed with 20 tambans. Arrived around 12 midnight. Place was very crowded and I was chased away from my usual casting spot no choice but to go further down and cast. Merry Christmas Yuheng. It's impressive that you managed to land such a catch even when you're not fishing at your usual casting spot. I don't know if it's safe to eat the grouper but I wouldn't take the risk. Its obviously stung by the catfish, and although most of the venom is concentrated at the wound area which you can cut off, blood can also carry it to other parts of its body. 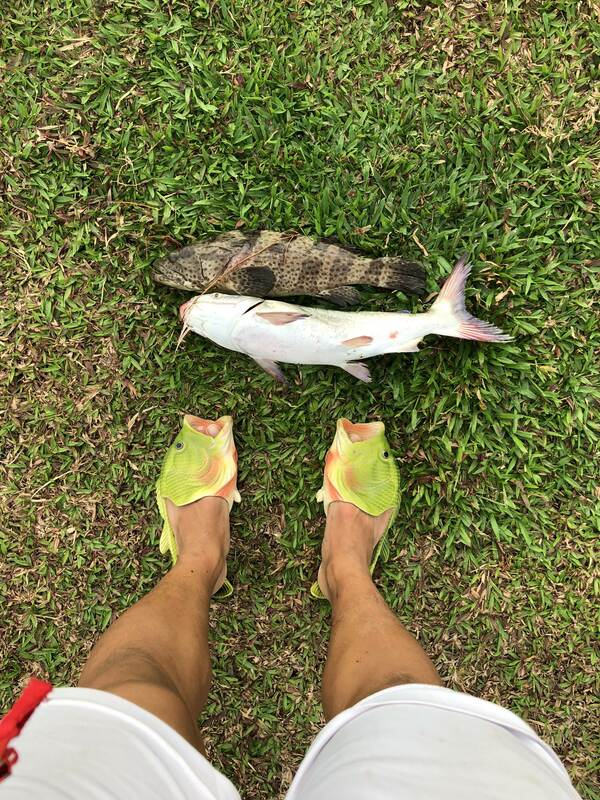 Oh yeah, got to love that fishy slippers of yours. Glad to know it was delicious, but don't try the recipe too often!